Market State 9 – Confirmed Bear/Short-Term Bullish: MS 9 is one of the Portfolio Thermostat’s 4 Bearish Market States. The Portfolio Thermostat has been in one of the Transitional/Bearish or Confirmed/Bearish “Bear” Market State, for the last 145 trading days. Canterbury Volatility Index (CVI 87 - Bearish): Volatility declined enough to shift from outright bearish to caution. 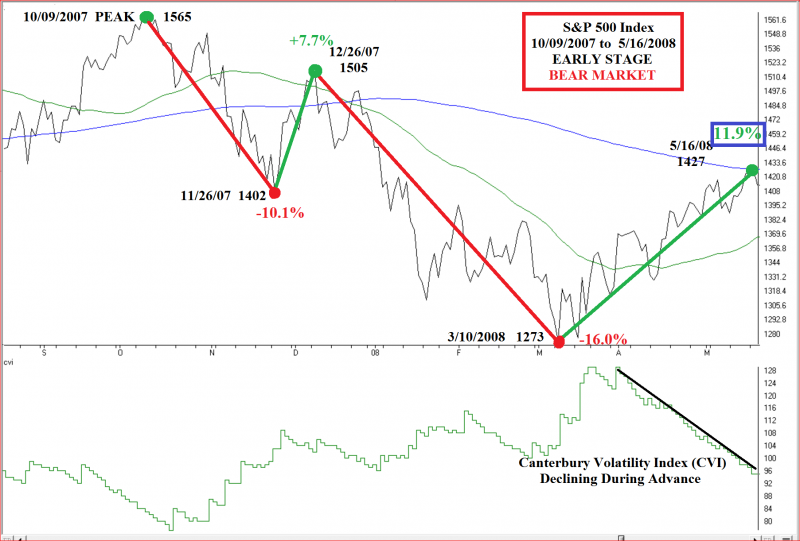 A decline in volatility is to be expected during bear market rallies. Overbought/Oversold Indicator (93% overbought - Short Term: Bearish): A reading of 95 or higher, either overbought or oversold, is considered to be an “extreme” level. The S&P 500 was up +1.4% for the week and has now been up for five weeks in a row. 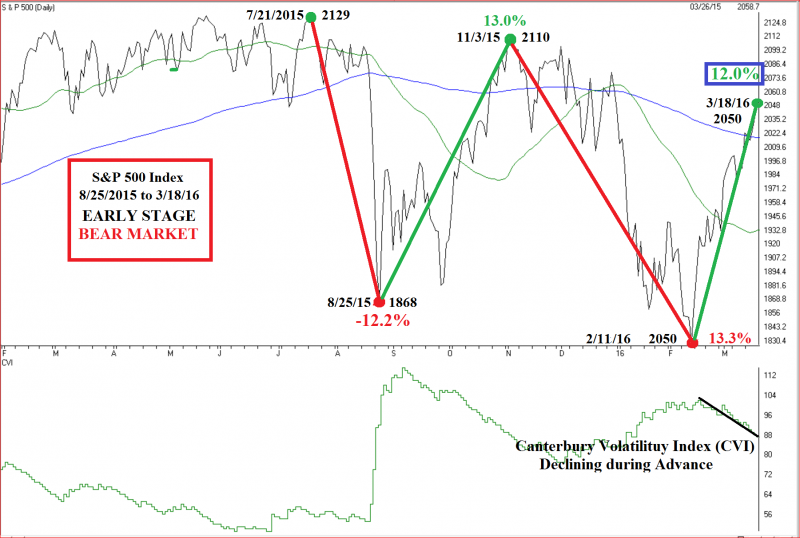 The current rally has now lasted for 26 trading days and has advanced about 12% from the February 11th low. 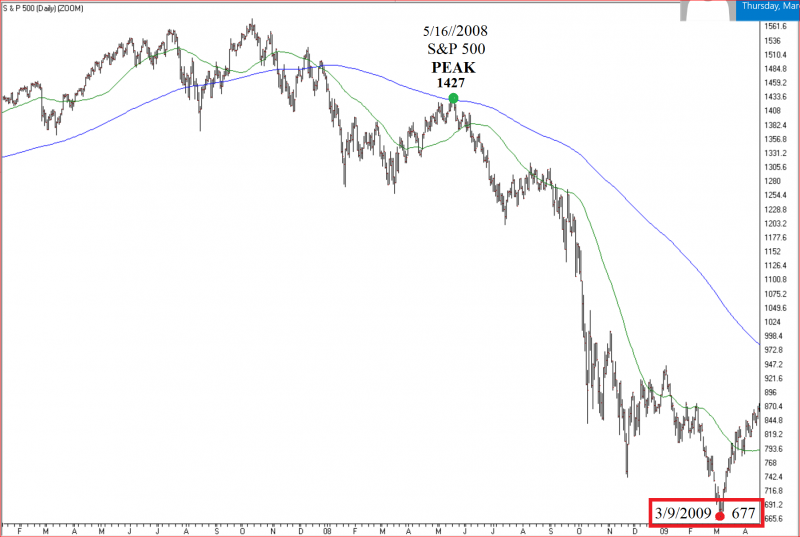 It is interesting to note that the previous bear market rally, which occurred during October 2015, also lasted 26 trading days but managed to go up a little more (13%). The October rally eventually fizzled though and dropped enough to quickly establish a new cycle low. 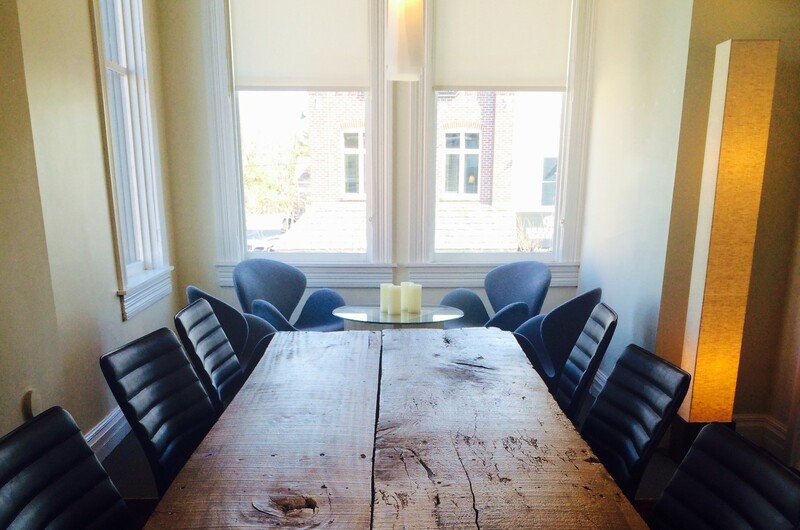 No two market environments are exactly alike. 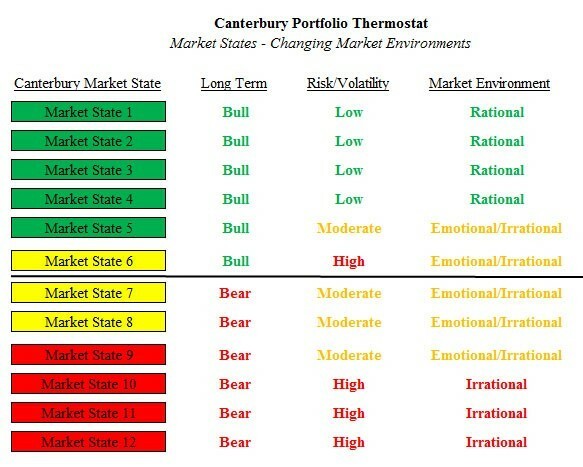 That being said, the Portfolio Thermostat’s 4 Bearish Market States do tend to show similar characteristics. Investors are more emotional and less rational during bear markets, and as a result, they tend to overreact to price movements that occur in either direction. Investors tend to run up prices too far too fast, but are then quick to reverse themselves and can’t seem to sell their holdings fast enough causing a decline. The following are a few charts of the previous two “early stage” of a Bear Market State environment during different periods. Notice the FOUR reversals (decline-advance-decline-advance) that characterize each. Each of these four reversals occurred over the period. 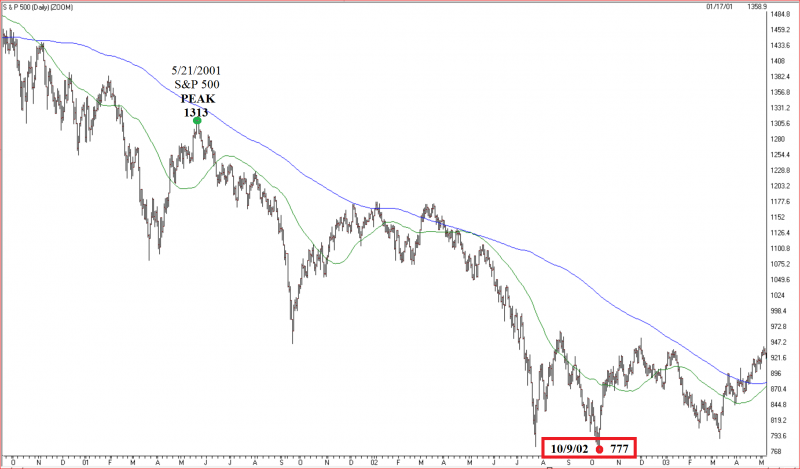 The current market environment similarly has had FOUR Bear Market State reversals and have also occurred over a seven or eight month period. There is no major prediction here. Just an interesting observation. 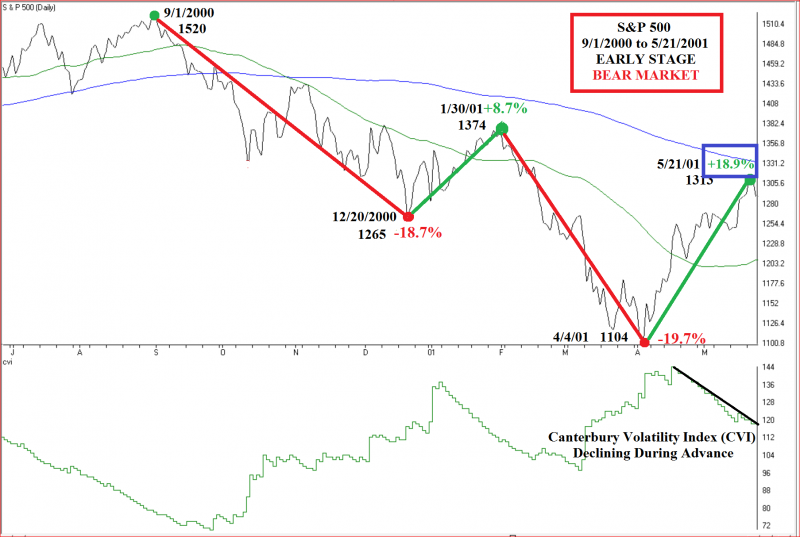 Rallies that occur during bear markets are typically stronger than what one would expect, bringing renewed hope and excitement. However, they can be dangerous for those who attempt to anticipate them. It is not a good idea to try to make rational decisions during less rational and inefficient Market States. Have respect for bear markets and don’t try to outsmart a bear. Our evidence-based studies show that the risk/reward probabilities of doing so are not good.